Portland Florist Shop previously know as Menlo Park Flowers of Portland. Yes we changed our name because people kept confusing us with Menlo Park California. Nothing has changed except our name. 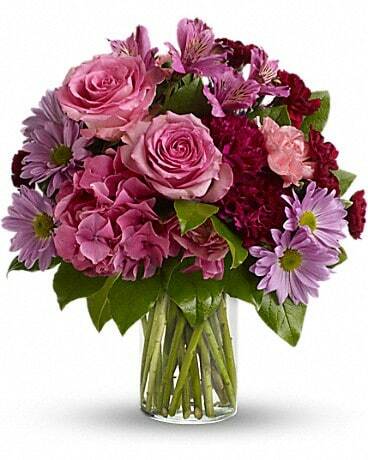 We still service the entire Portland metro area with great flowers at the best prices! We have been in business since 1957 and we are family owned and operated. We guarantee our floral designs and use the freshest flowers shipped in three times a week from all over the world. We are in the top 100 florist chosen by Teleflora yearly. SATURDAY - 9:00 a.m. to 4:00 p.m.
A local delivery fee of $12.00 will be added to each order, for each address. (For deliveries outside our local delivery area, this fee may vary.) We deliver to the following cities zip codes: 97006, 97015, 97027, 97030, 97035, 97045, 97060, 97068, 97070, 97080, 97086, 97201 97202, 97203, 97204, 97205, 97206, 97207, 97208, 97209, 97210, 97211, 97212 97213, 97214, 97215, 97216, 97217, 97218, 97219, 97220, 97221, 97222, 97223 97224, 97225, 97227, 97228, 97229, 97230, 97232, 97233, 97236, 97238, 97239 97242, 97256, 97258, 97266, 97267, 97268, 97269, 97271, 97280, 97281, 97282 97283, 97286, 97290, 97291, 97292, 97293, 97294, 97296, 97298, 97299, 98664 . We are unable to make deliveries on Sundays. Deliveries requested on this day will be delivered the following business day. If you have a request call our after hours phone 503-209-2742 and we may be able to help! Portland Florist Shop is locally owned and family operated. We have been around for over 50 years! Starting back in the 1950's with greenhouses on Glisan St then moving to the 122nd and Glisan shopping center when it was first built then called Menlo Park. 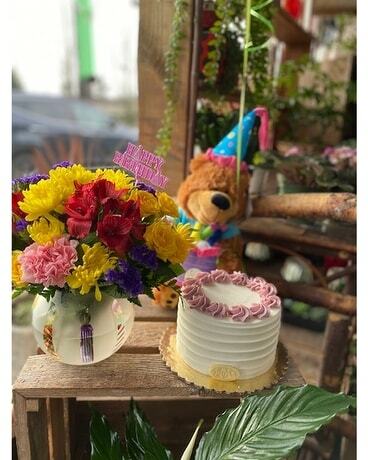 In the year 2005 we moved to our present location 118th and Glisan and have recently changed our name from Menlo Park Flowers to Portland Florist Shop. Same owners same beautiful floral arrangements. We design unique flowers for all occasions including wedding, sympathy, party work, corporate flowers, monthly and weekly lobby flowers throughout Portland. We have been awarded the top 50 Teleflora florist in the US. We pride ourselves in customer satisfaction and we want you to be happy with your purchase. If for any reason you are not satisfied please contact Lynne at lynne1061@juno.com. Lynne has been the owner of the shop since 1994 and has been a florist for over 25 years. We have a few designers Lynne, Sarah (Lynne's daughter), Neil, Kimberly, Setsko, and Cari.